Getting children engaged into the world of education can be a tough challenge. Let’s be frank; they are simply not interested in learning. And, who can blame them? When you are a young kid playing with Tom and Jerry games online seems a lot more appealing than learning your five times table. But you will be pleased to know that all hope is not lost. There are cartoons that get your child’s mind in the zone. Certain cartoons can help your child to start thinking and thus get their brain accustomed to the world of education and critical assessment. The following cartoons are all thought provoking and you should definitely consider encouraging your child to watch a couple of them. Scooby Doo has to be one of the most thought provoking cartoon shows available on television today. After all, your little one watches Scooby Doo and the gang as they solve mysteries. The bad person behind the mystery is never revealed until the end of the show. Hence the cartoon follows the gang as they slowly unravel the mystery. As the cartoon follows this process your child’s mind also becomes accustomed to this route of thinking. Your child will start wondering: Who is behind all of this? Could it be Professor Smith? What about that strange school teacher? Your child’s mind will open to a realm of possibilities. This will come in extremely handy. Next time a mystery, a problem, or alike comes up your child will assess several options in their mind. Dexter’s Laboratory is thought provoking because Dexter is always trying to come up with innovative plans and schemes. However, his seemingly dopey and unaware sister manages to get in the middle of these plans all of the time. When Dexter is planning all of these experiments and schemes your child’s mind starts ticking: What is he doing? What mixtures is he combining together? What is he trying to achieve? Your child will start to wonder about what can be achieved through the various chemicals and combinations. Science is a subject that does not tend to be introduced very early, especially in the form of chemicals. In spite of this, this is a program that can certainly start to make your children think about the subject. The final cartoon in this list is Tom and Jerry. The cartoon has been running for many years now and there are a lot of Tom and Jerry games online nowadays too. The reason why this program is thought provoking is because Jerry constantly proves victorious against Tom. Tom is bigger than Jerry and he seems to always be close to catching the mouse. However, Jerry is always one step ahead of Tom. He uses his intelligence and quick thinking to ensure he is never caught and that Tom ends up hurt in the end. Your children think; how on earth does Jerry do it? So, next time you are having trouble prying your child away from their favorite toy or game, then you should put on one of the cartoons mentioned in this article. 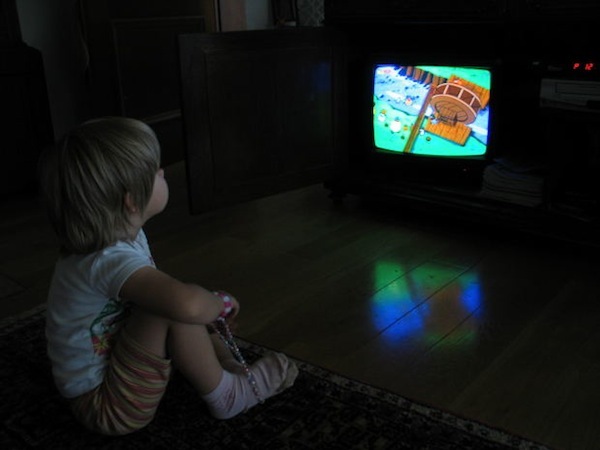 All children love watching cartoons and as a result fun is involved, meaning they will be tempted away from what they are currently doing. Nonetheless, you can be safe in the knowledge that these cartoons are all thought provoking and therefore open your child’s mind to educational and inspirational possibilities. Celina is a freelance journalist. She used Tom and Jerry games online and other cartoons to research for this article. She is currently working with Cartoon Network as their PRO. These all shows both of my kids watch. My daughter loved Scooby Doo when she was younger, so much so that we decorated her room when she was 8 to look like the Mystery Machine! I know they are better than some of the junk out there. Not so sure I’d consider Tom & Jerry very thought provoking, but kids like it. These are great for the occasions I allow my kids to indulge in some carefree non-educational TV time.